Dr. Baker has a unique background in wildlife ecology and veterinary medicine with a passion for conservation/aquatic medicine, One Health, and sustainability. After earning her Bachelor of Science (wildlife ecology) at the University of Wisconsin – Madison, her field experience included working on the California Condor Recovery Program and a number of sea otter research and conservation projects. 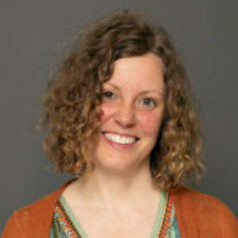 She went on to earn a Master of Science (comparative bioscience) and DVM (Doctor of Veterinary Medicine) with externships at Vancouver Aquarium, Milwaukee County Zoo, and Toledo Zoo, and subsequently completed a post-doctoral fellowship at the USGS National Wildlife Health Center, as well as a Special Species internship at the UW - Veterinary Medical Teaching Hospital. She is the former fisheries veterinarian for the Wisconsin Department of Natural Resources and served on the Great Lakes Fishery Commission - Fish Health Committee. She currently serves on the President’s Standing Committee on Environmental Initiatives to support sustainability efforts for the Wayne State University campus and community, as well as the Science Committee and Animal Health External Review Panel for the Detroit Zoological Society.